Green Turquoise with Picasso Finish Czech Glass Firepolished Crystal Beads 4mm. 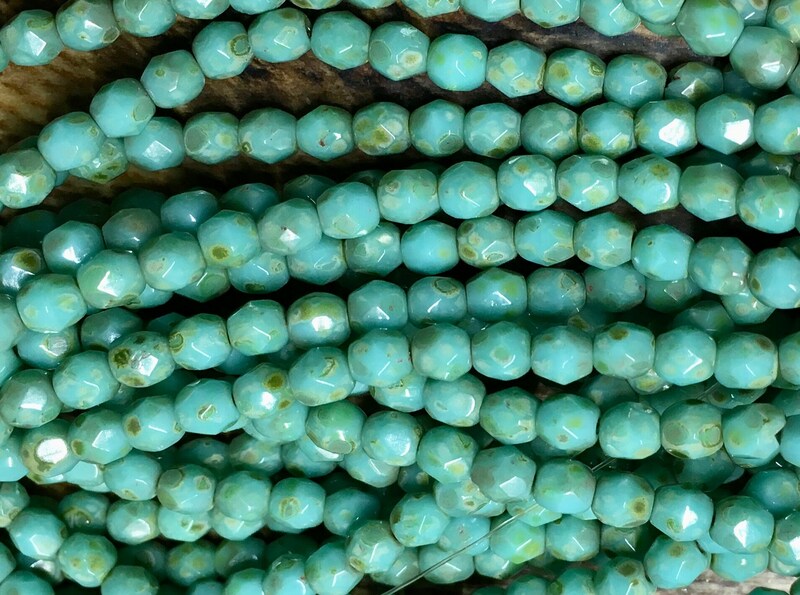 One strand of 50 Green turquoise with picasso finish, Czech fire polished crystal beads. These beads measure 4mm. Add some sparkle to your jewelry creations! Satisfied with this purchase. Fast delivery. Thank you.